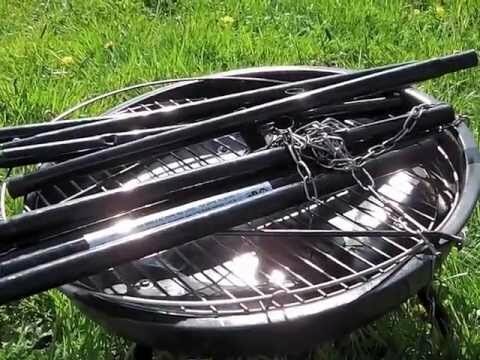 This great little package gives you a fire pit/BBQ, tripod, and Grill. 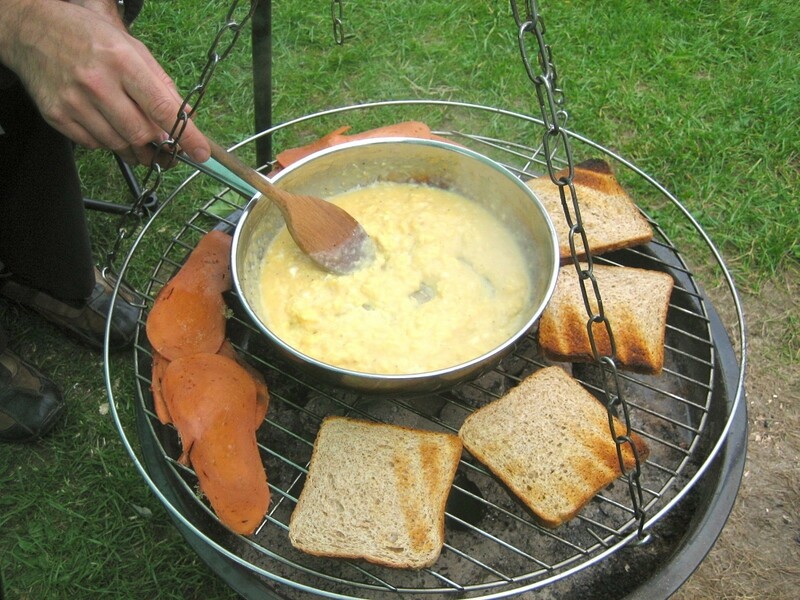 Perfect for camping and campfire cooking. We’ve been using our Landmann tripod this past year and have been very impressed. Our Landmann BBQ Tripod Grill fresh out if its box. 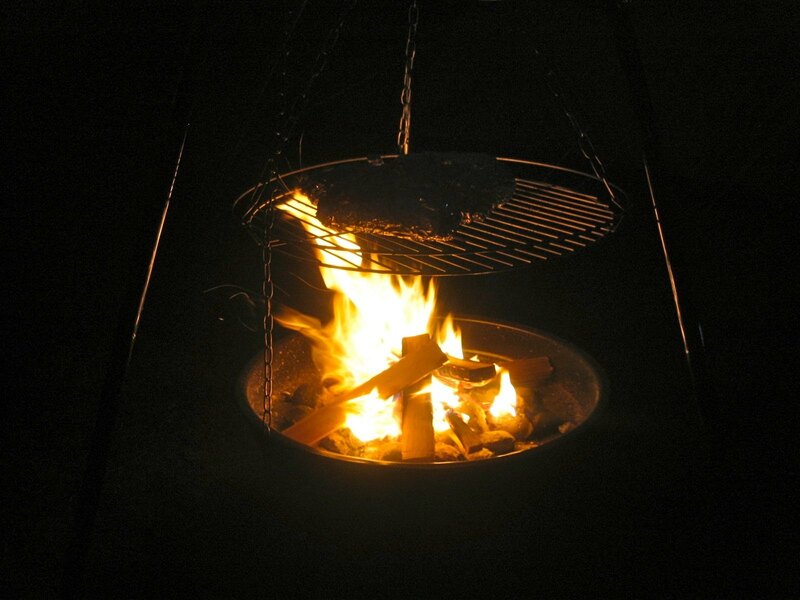 The Landmann BBQ Tripod grill has been an affordable and versatile piece of kit. The tripod comes with three legs that are in three separate pieces that slot together. You then bolt in a bracing piece to give the frame tent, which is the only fiddly bit. You will have to unfasten these bolts when packing the tripod away. 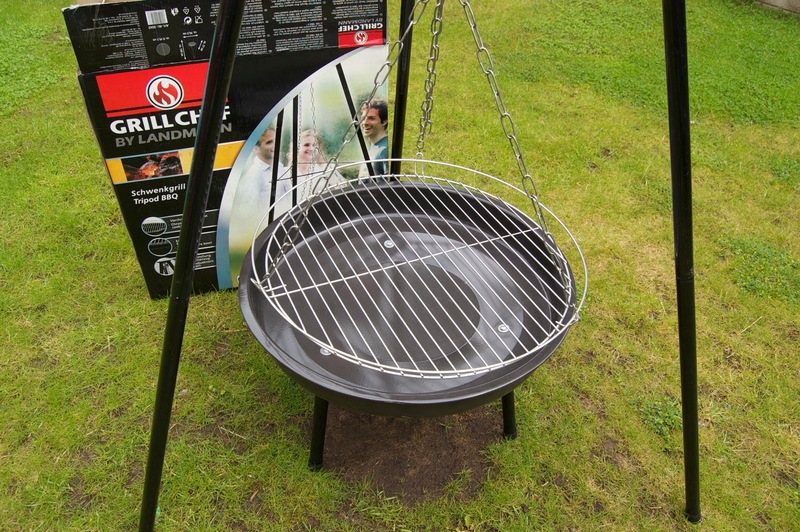 The grill can be lowered and raised by pulling on a chain. This gives a real medieval feel to cooking. It gives you an option of raising food away from heat, or lowering food over a fire. The pan has legs that screw on. This is not something we take apart for transport, and so a bit bulky (fortunately we have a trailer), but we have also left it at home on occasions and just used the tripod and grill over a campfire. 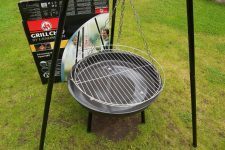 Although in BBQ mode you put coals in the pan, it also works well as a small fire pit for campsites that require fires off the ground. Now, this isn’t a heavy duty cast iron tripod (which you would pay a lot more for), and I wouldn’t hang my Dutch Oven from the chain. However, I have used the Dutch Oven plenty of times in the pan with coals, which provides a good stable base. Update: Correction. I have hung my heavy duty 8L Dutch Oven from the Landmann Tripod over the fire. It was fine! See the picture below. For the price, this makes a handy bit of kit for cooking over a fire, and my little lad loves raising and lowering the food by pulling on the chain. Using the Landmann tripod as a fire pit with grill keeping things warm. Cooking breakfast using the tripod. Can use as a BBQ or Firepit. The grill can be raised or lowered. 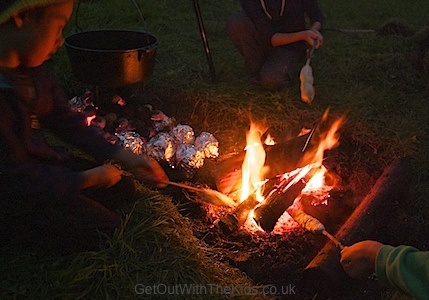 Can hang things like a campfire kettle or coffee pot to keep it warm over the heat. The legs don't collapse, and so you must unscrew them if you need to lay the fire pit flat when transporting it.